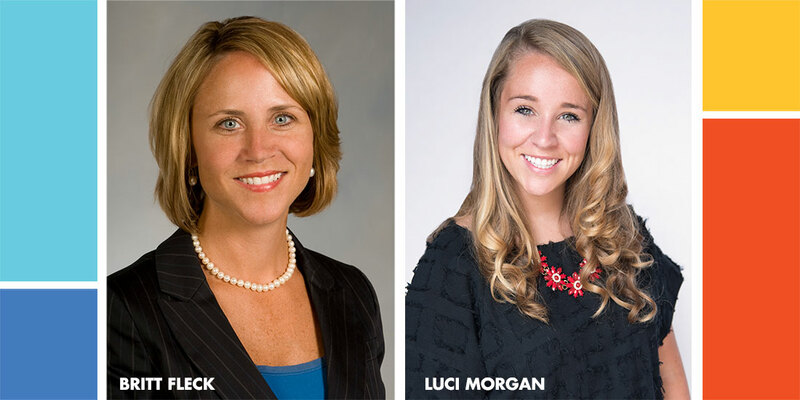 The Town Center Community Improvement District (CID) has announced that Britt Fleck has been appointed to its board of directors and Luci Morgan has been hired as Communications and Outreach Manager. Britt Fleck is the Regional Director of the Metro West Region at Georgia Power, one of the largest producers of electricity in the nation. In her role there, Fleck leads operations, customer service and sales for five counties and approximately 175,000 customers. She is active in economic and community development initiatives as well as strategic planning with executive leadership. Fleck also sits on the board of directors for both the Cobb Chamber of Commerce and Select Cobb. She is a WellStar Health System Foundation Trustee, a Kennesaw State University Foundation Trustee, and a member of the Kennesaw State University President’s Advisory Committee. She was also appointed by Governor Deal to the board of directors of the Georgia Department of Driver Services. Fleck replaces Fitz Johnson, who served on the Town Center CID board for one year. The Town Center CID board of directors has seven members who represent an active interest in the CID’s mission, encompassing the fields of property and real estate development, finance, and economic development. The participation of Georgia Power on this board signals that the area is primed for comprehensive economic and community development. Georgia Power has been cultivating economic vitality in Georgia for 90 years, helping to create jobs and bring billions of dollars in projects through state partnerships. To facilitate Town Center’s momentum, the Town Center CID has hired Luci Morgan as the organization’s Communications and Outreach Manager. Her role includes communicating with corporate partners to maintain an informed and engaged stakeholder community. Morgan is responsible for coordinating all marketing and media efforts, navigating press relations, and connecting property owners and constituents with needed resources. As a former intern at the CID, Morgan handled day-to-day communications, copy editing and managed social media channels. Now, she looks forward to taking on additional responsibilities. Morgan graduated from the Terry School of Business at the University of Georgia in 2018 with a degree in Marketing. Prior to her full-time position with the CID, Morgan interned with The Braves Development Company at The Battery Atlanta. In college, she was an active Young Life leader and dual-sport high school coach.